This is the Ethiopia Gelana Abaya brought to you by Coava Coffee Roasters. This fully washed coffee was sourced from the growing region of Yirgacheffe in Ethiopia and was produced by the Gelana Abaya Wet Mill at 1,800 - 2,000 meters. 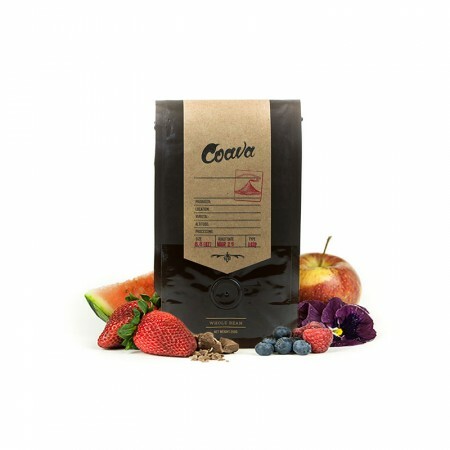 We love this coffee for its nuanced notes of tropical fruit, berries, and black tea with a delicate overall quality. This coffee has a pretty good fruity flavor, but is too tea-like for my tastes. I would have rated it 3.5 if I could. Not a bad cup of coffee. The only reason I'm not rating it higher is personally, I'm not a huge fan of delicate, tea-like flavors. It does have a very light fruit flavor, but I prefer mine to be a bit stronger - juicier, sweeter. This coffee is indeed very light and has some light acidity. A pleasant coffee, and would not be upset to drink it again, but it's not my ideal brew. Used my Kalita Wave 155. Picked up notes of juicy berry, slightly tart, milk chocolate with a floral smell. Definitely enjoyed this bag. I've sampled Coava Roaster's Honduras from a friend before and loved that as well. GREAT black tea flavour notes. Good as pour over or French press. Tangy, a bit acidic, but overall subtle flavors. Nice beans.